Interesting Sites: Amarbayasgalant temple, Karakorum and Erdene-Zuu Monastery. Huduu Aral, birthplace of Chinggis Khan. Arrival in Ulaanbaatar and check in at the hotel. City tour including Gandantegtechilin Monastery and Zaisan Hill War Memorial for a panoramic view over the city and to get your bearings. The Gandan Monastery is the biggest active monastery in Mongolia and a place of great importance to the Mongolian people. The main building, the Vajradhara Temple, houses a 25m gold-plated statue of Buddha, and it is in this building that the main religious ceremonies are held. Surrounding the main building are smaller temples of different periods and styles, containing precious religious items and artworks. Afterwards visit the Museum of Natural History, in which you can see the skeletons of dinosaurs found in the Gobi and fossilized egg nests. Drive to the village of Tsenher Mandal and camp overnight. The village is set amongst pine-covered mountains and on arrival, walk around the area and find the best spot to pitch your tents. 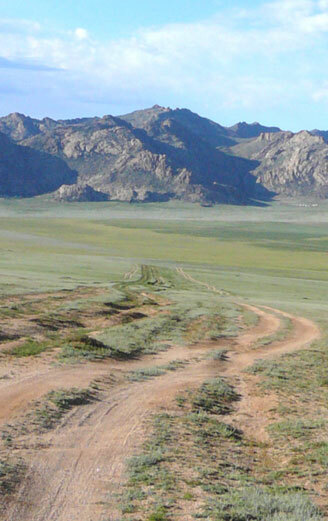 Drive to the town of Dadal, which is believed to be the birthplace of Chinggis Khan. The mountains of this area were home to the young Chinggis. The area is one of astounding natural beauty, sacred mountains surrounded by wooded valleys and lakes. Set up camp by Gurvan Nuur (Three Lakes) and revel in your surroundings. Spend the day around the lake and in the surrounding beautiful mountain forest and hills. Take a hike into the mountains and experience some of Mongolia's untouched forest. Drive to Berh Mine and visit a Buddhist Temple with a statue of the god Maidar in it, surrounded by a landscape of mountain steppe. Tented overnight. On the way to Huduu Aral*, visit the leafy town of Undurkhaan, capital of Khentii province. Visit the local museum and pitch your tents on the banks of the nearby Kherlen River. Finish the drive to Huduu Aral, stopping for a delicious packed lunch on the way. Arrive in Huduu Aral in the late afternoon. Overnight in a ger camp. After breakfast visit the Avarga Toson Mineral Spring, and test the healing waters, reputed to heal ulcers, stomach complaints and pancreatic diseases. Learn about the history of this place, where Chinggis Khan's third son Ogedei was proclaimed as his successor. Overnight at the ger camp. Return to Ulaanbaatar. Overnight in hotel. Drive to Undur Dov. Overnight. Drive to Amarbayasgalant Monastery, one of the most beautiful temple complexes in the country, nestled in grassy plains near the Burengiin Mountains. Camp overnight. Drive through Erdenet, the third largest city in Mongolia and home of the Erdenet Copper Mine, to Bulgan provincial center. Overnight in tents. 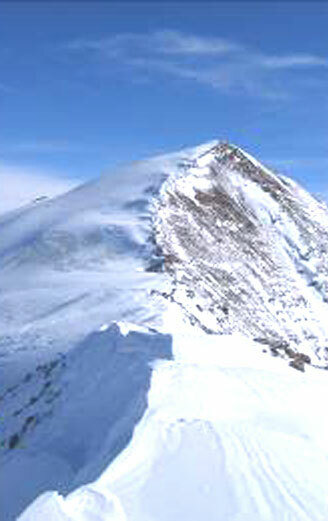 Continue to the town of Erdenemandal and camp overnight by the Khanui River 20 km from the town. 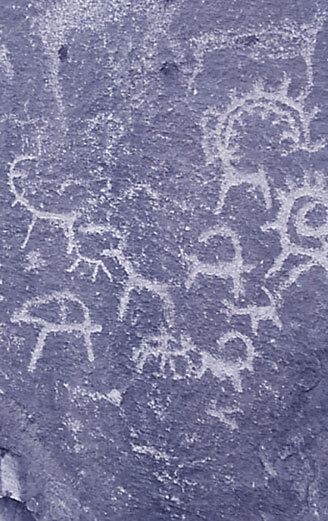 Nearby there are several deer stele, ancient tombstones of the Khun period, carved with images of animals. Drive to the crater on the extinct volcano called Khorgo Mountain. Visit the beautiful Terkhiin Tsagaan Lake, and overnight in a ger camp. Visit the hot sulfur springs of Tsenheriin Jiguur, stopping on the way visit Tsetserleg, the greenest provincial capital in Mongolia. Overnight in the Tsenheriin Jiguur Springs camp. Drive on to the ancient imperial capital of the Mongol Empire, Karakorum. Overnight in the ger camp. Drive to Bayangobi. Visit the Hugnu Khaan Mountain (1967m), and see the ruins of the Uvgun Khiid monastery, built in 1660. Return to Ulaanbaatar. After lunch visit the Bogd Khan Palace and in the evening, a folk music performance. Dinner in a restaurant. Overnight at hotel. Free day. Individual shopping or sightseeing.